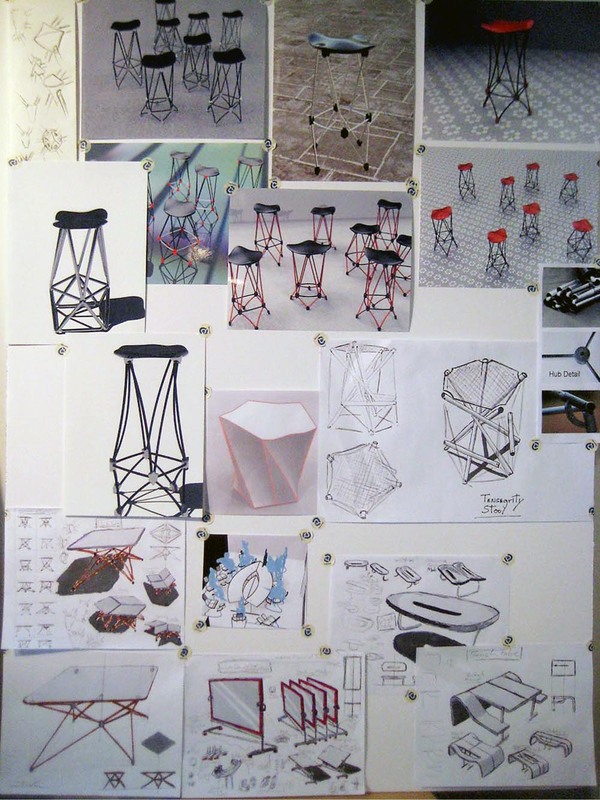 The following thumbnails represent a collection of final posters from the end of spring term 2012. 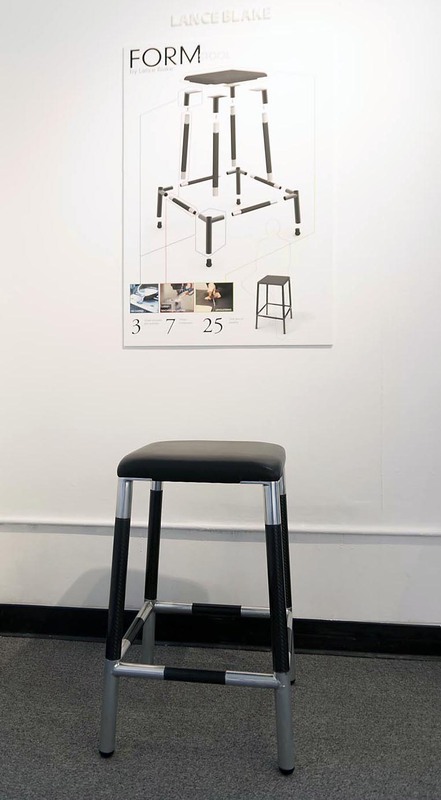 The project task was to redesign the ubiquitous grey metal studio stool for the gradID environment. 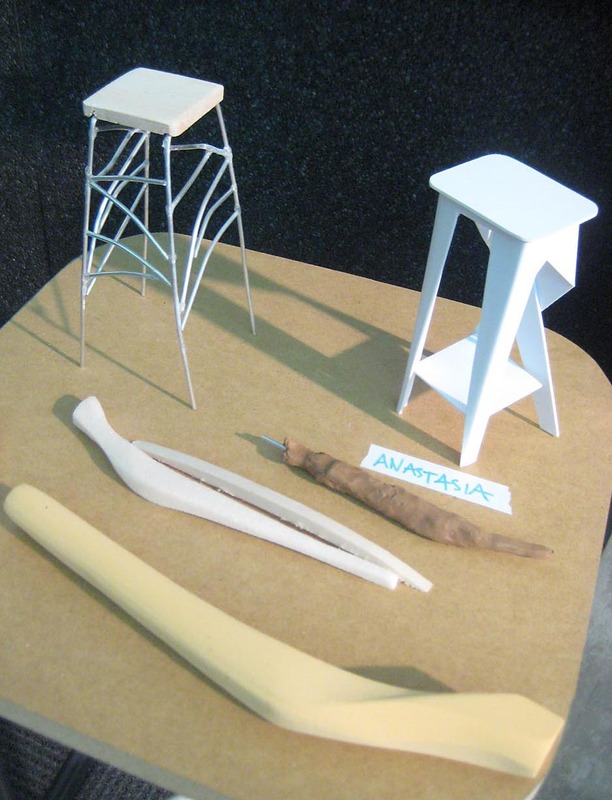 The process included needs analysis, iterative concept development and functional prototype delivery. 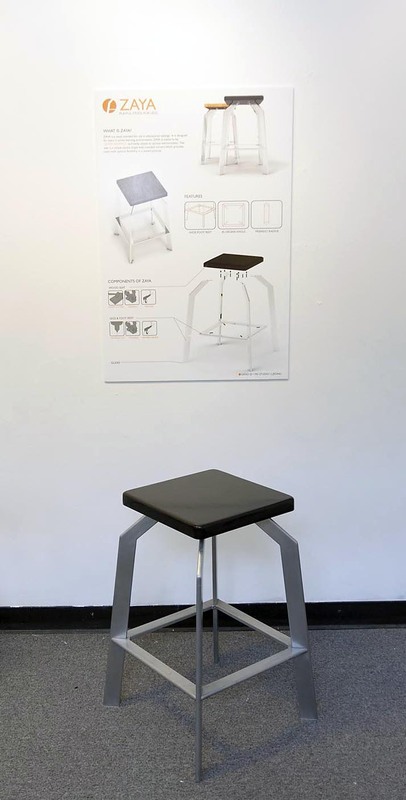 All in 14 weeks. 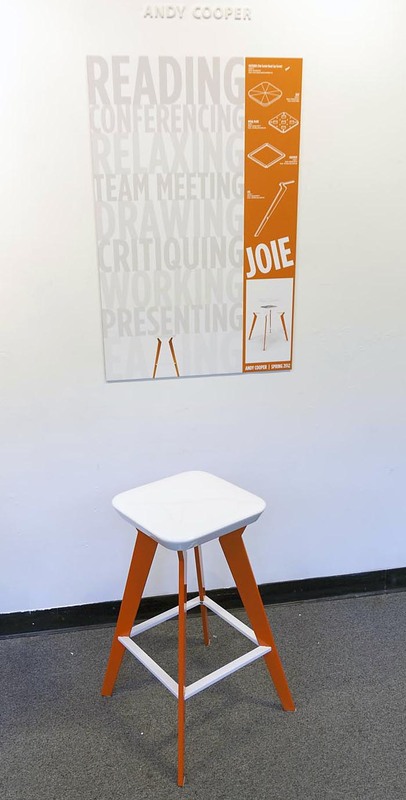 Clicking a thumbnail will open a larger image including a caption identifying the designer. 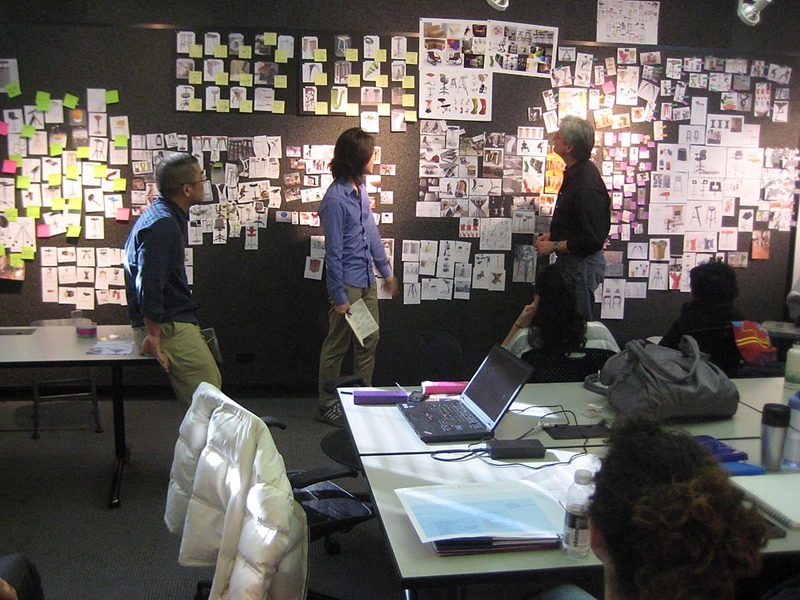 One of the core philosophies of the Grad ID program is to practice human-centered design. 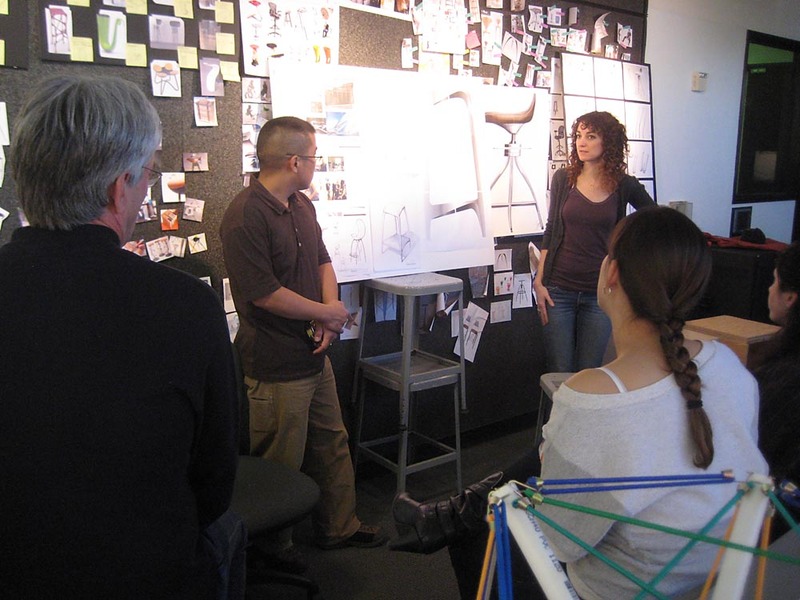 Through research and observation, students practice the art of discovering insights into human behavior. 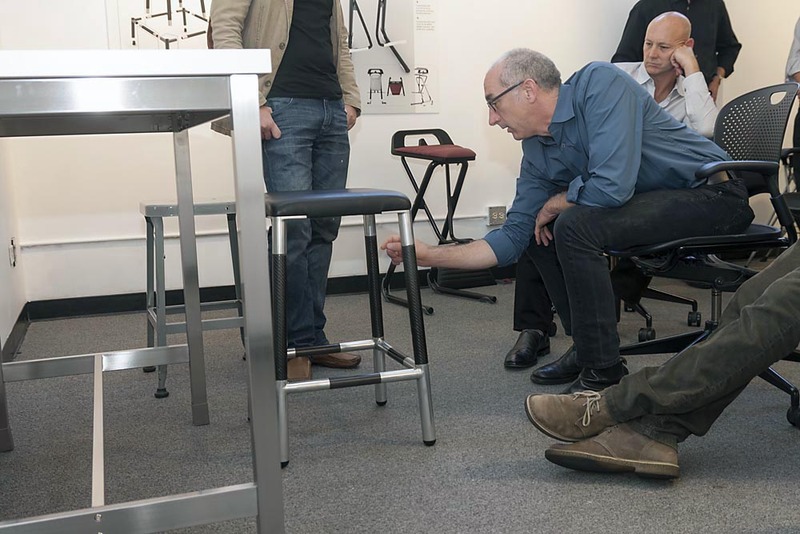 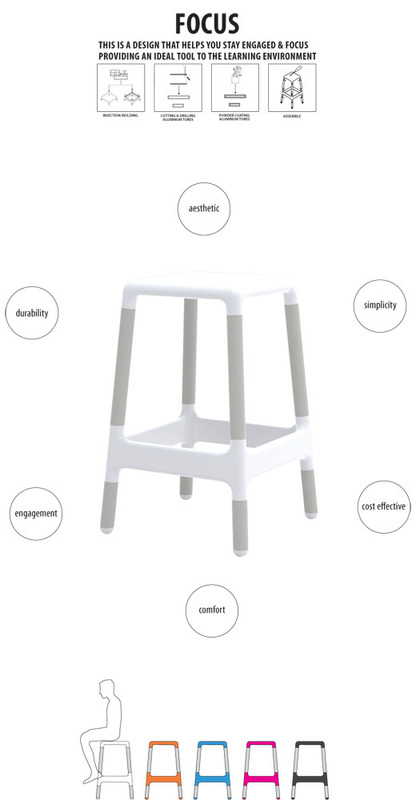 This term, M2 Grad ID students were tasked to understand the human needs present within an educational environment by first understanding their own behavior in order to design a stool (a simple seat without back or arms) intended for use in the Grad ID classrooms. 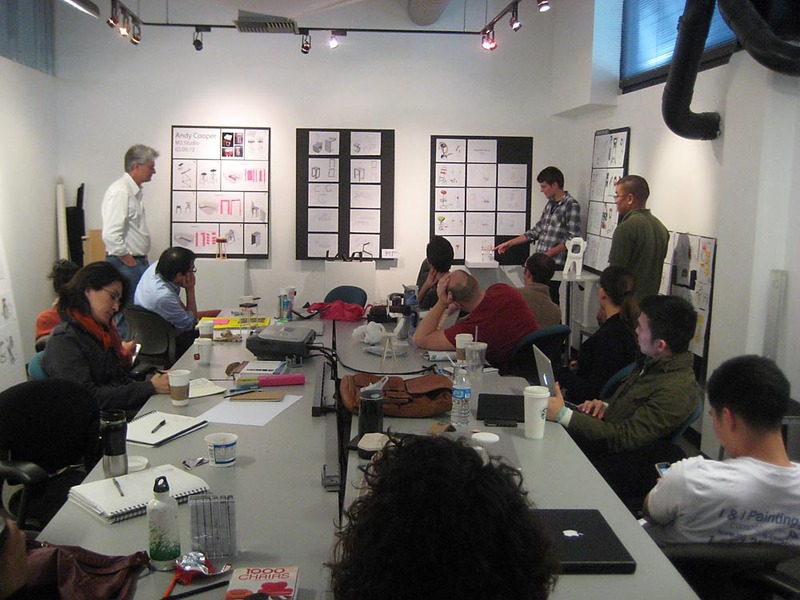 Each of the student designs is a candidate for being produced to outfit a Grad ID classroom. 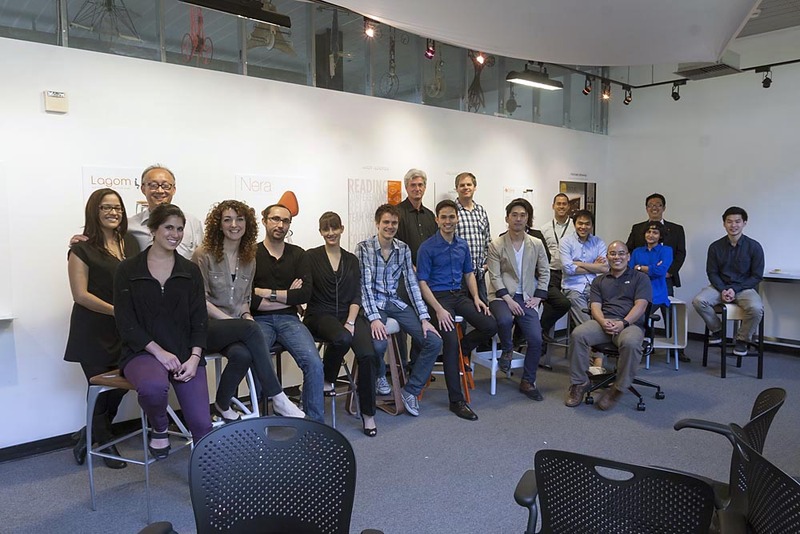 Guided by faculty members Andy Ogden, Stan Kong, Dice Yamaguchi, and Wook Kim, the students labored through 14 weeks of iterative design and after having gone through a tremendous amount of learning, not only about furniture but also about the design process, the students were able to manufacture amazing prototypes that represented their vision regarding the future of design education at Grad ID. 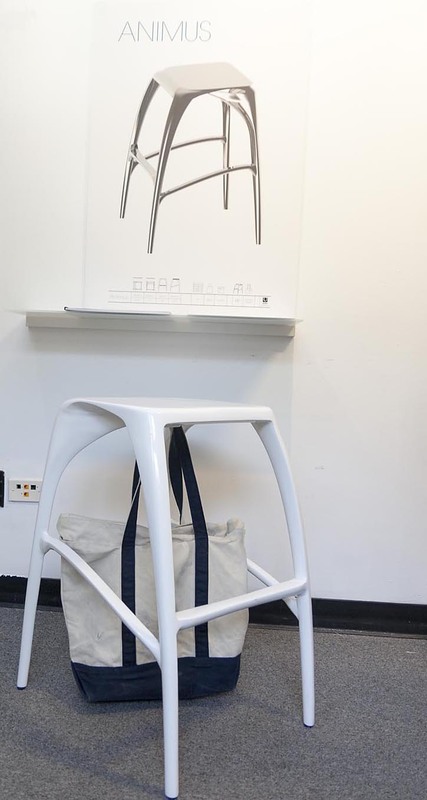 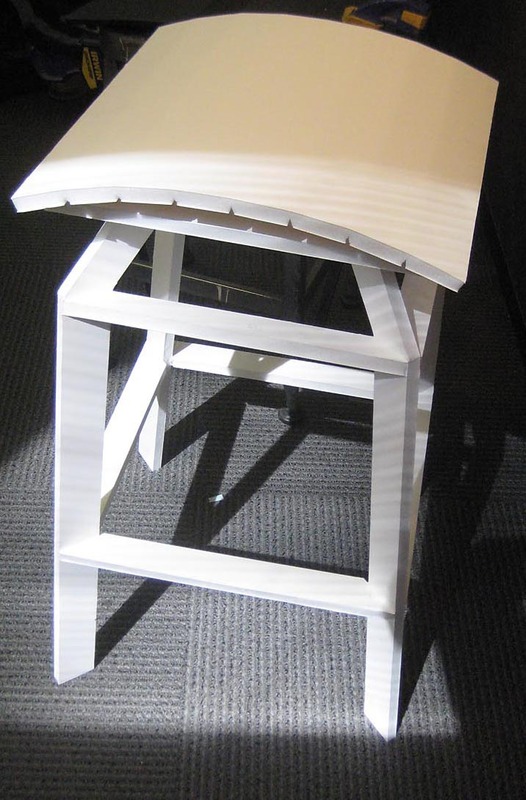 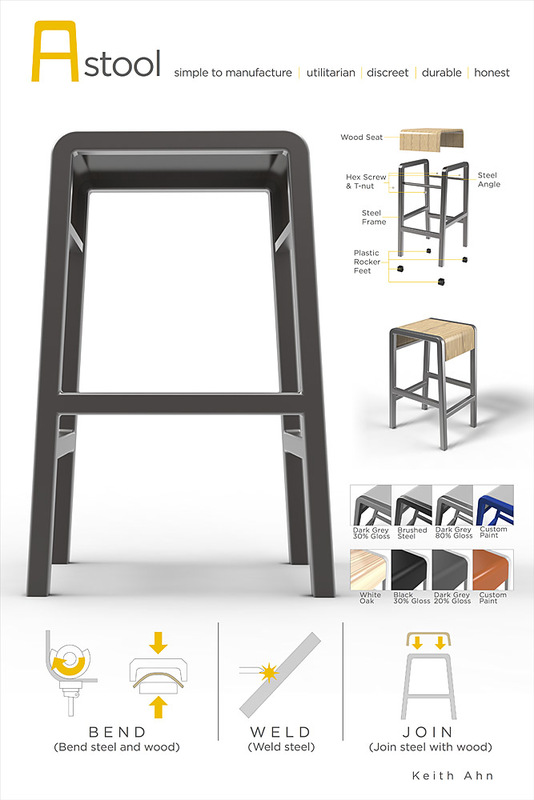 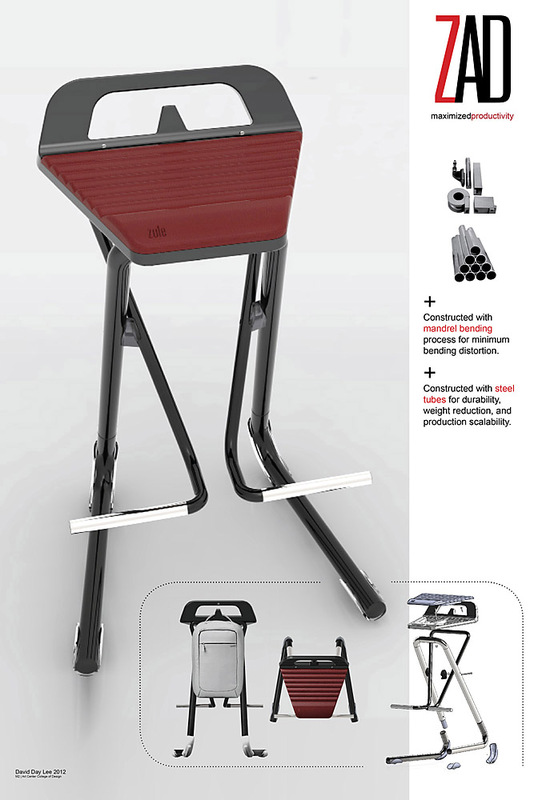 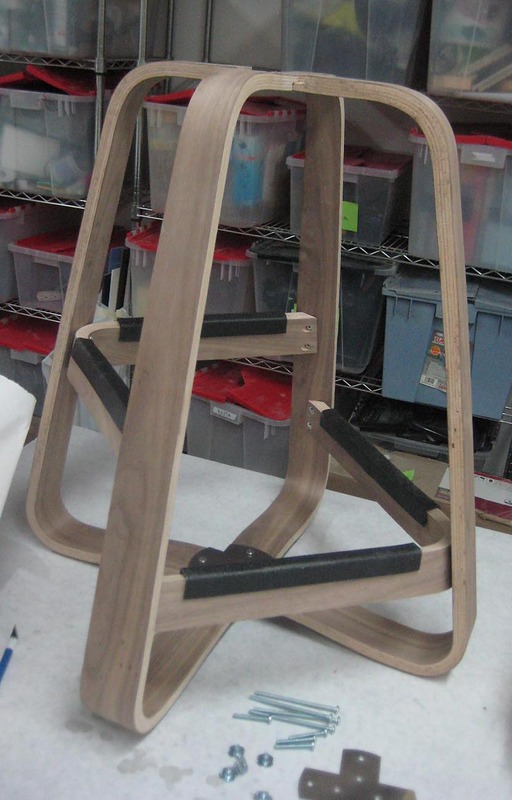 The final design of the Grad ID stool has yet to be determined but in holding true to the evolutionary design process, the Summer term of 2012 will be dedicated to experimenting with the prototypes to further refine the designs. 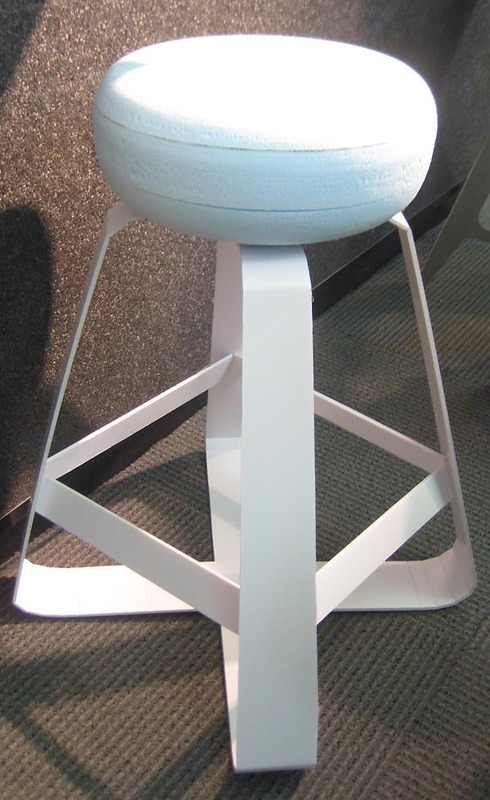 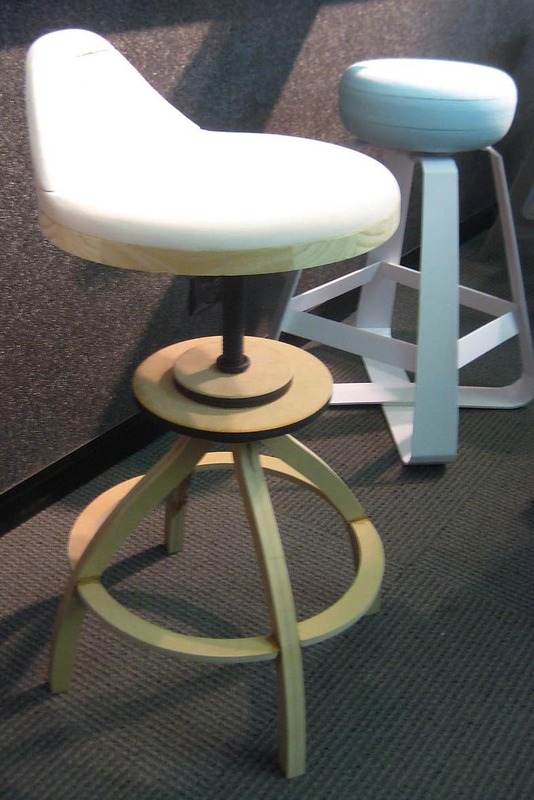 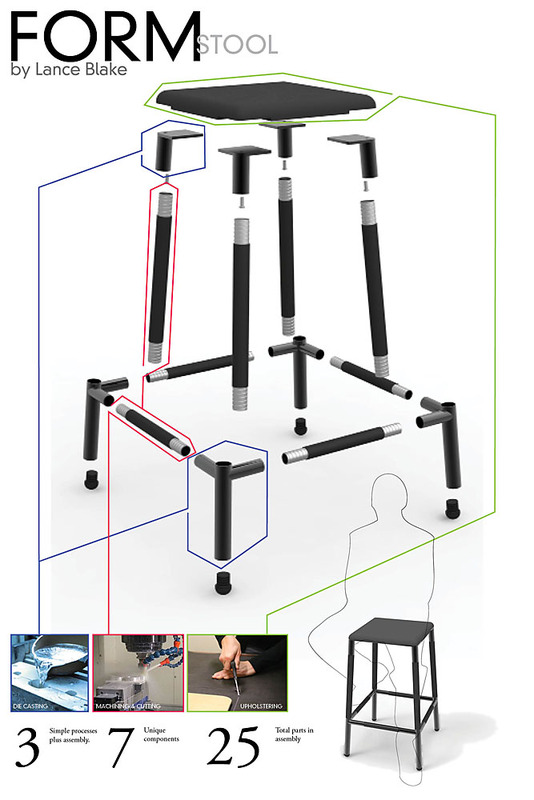 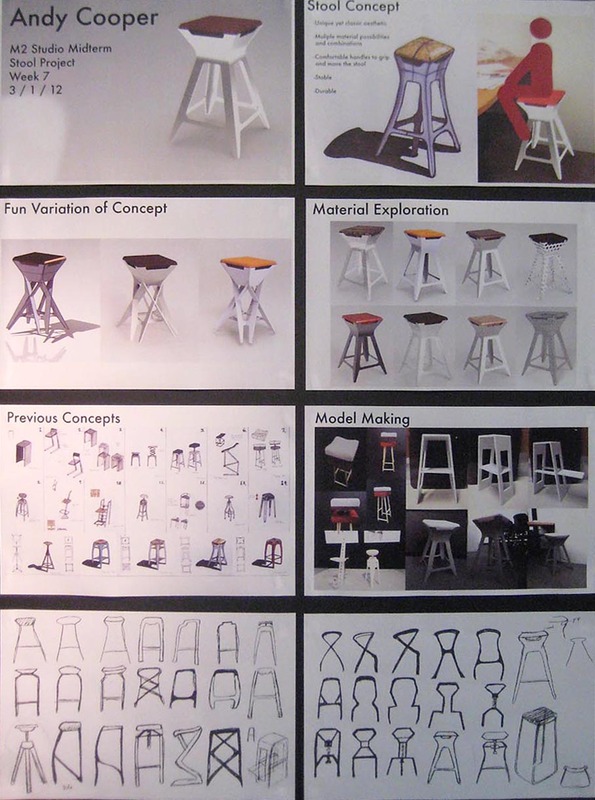 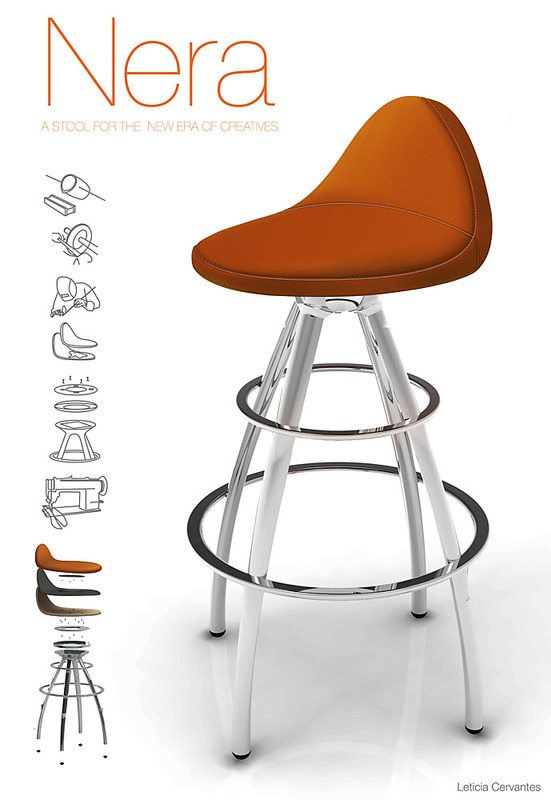 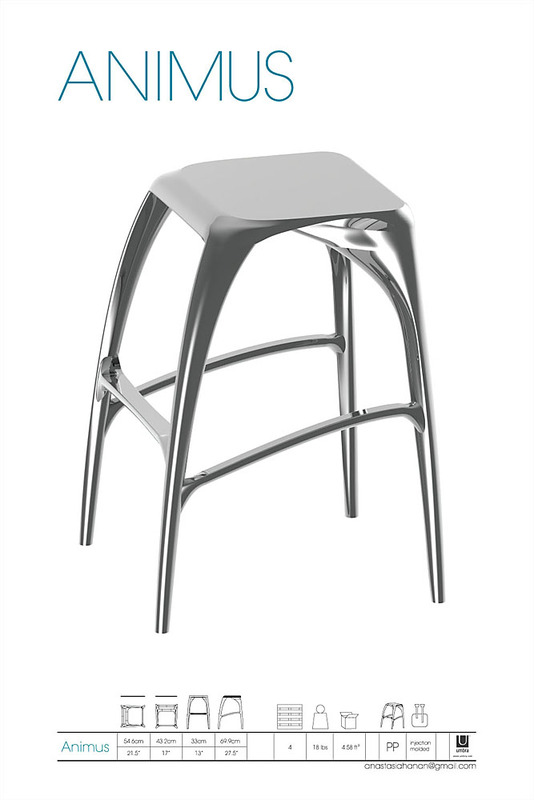 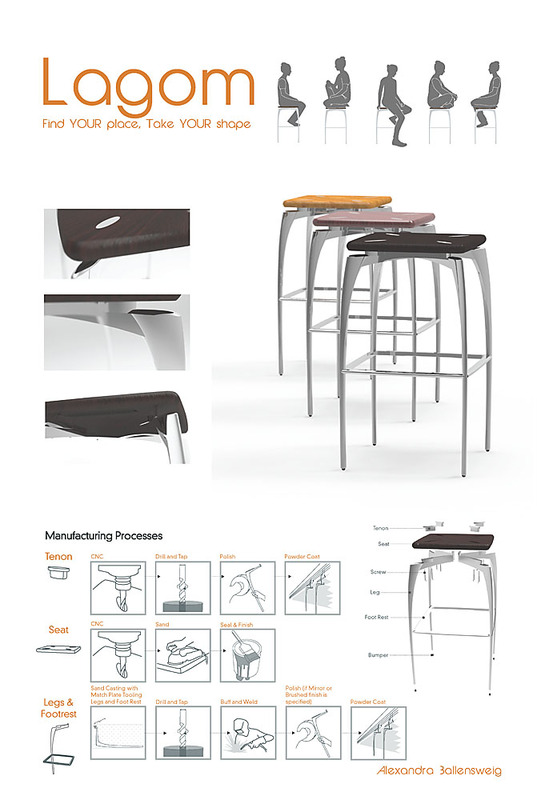 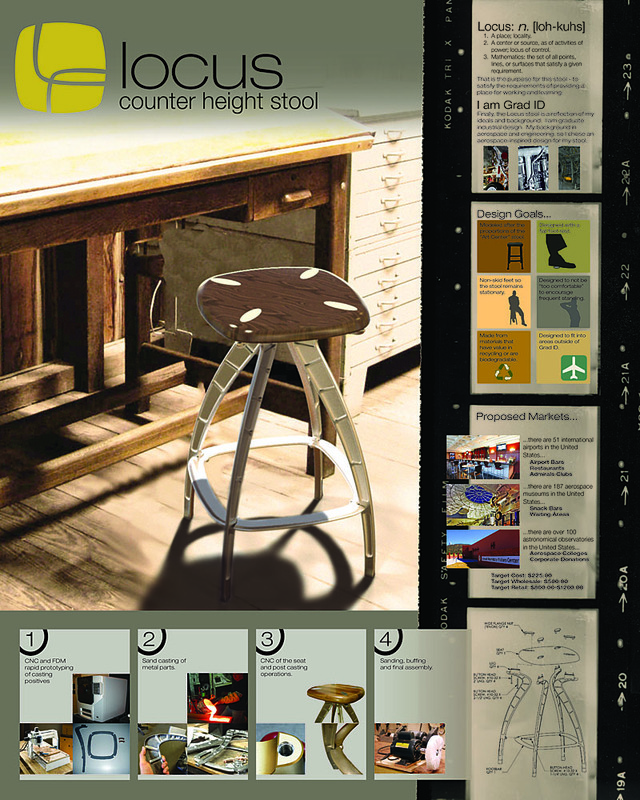 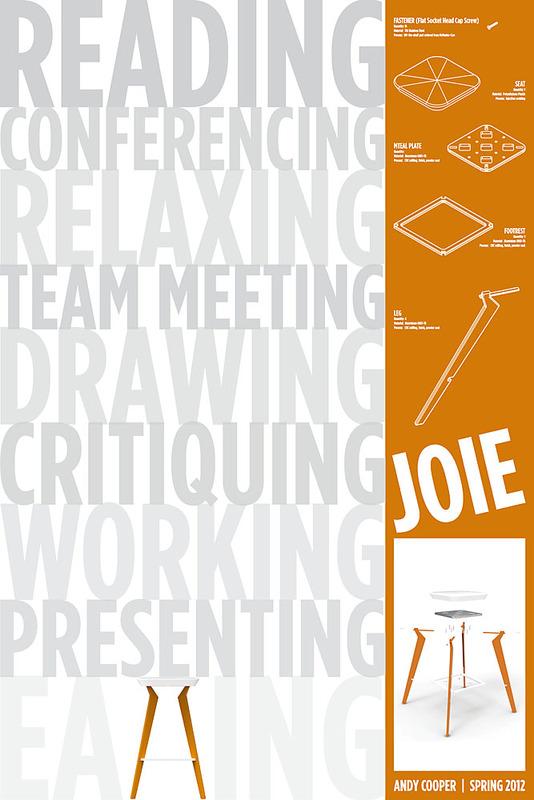 Stay tuned to find out what kind of stool will be used to educate the industrial designers of tomorrow!